The first generations of the PowerBook G4 were announced at Steve Jobs' keynote at MacWorld Expo in January 2001. They featured a PowerPC G4 processor running at either 400 or 500 MHz. They were just 1 inch (25 mm) thick, 0.7 inches (18 mm) thinner than their predecessor, the PowerBook G3. The PowerBook G4 Titanium also featured a front-mounted slot-loading optical drive into which optical discs (initially DVDs or CDs) could be inserted. 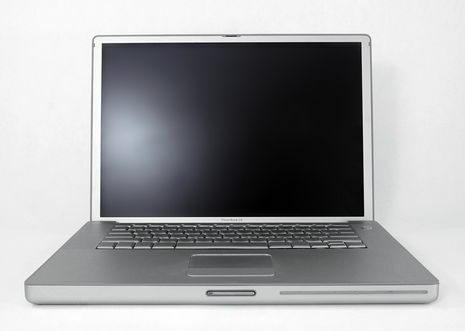 The notebook was given the nickname "TiBook", a portmanteau of titanium, the material used for the computer's case, and the brand name PowerBook, Apple's former professional-oriented line of laptop computers. At MacWorldExpo in San Francisco, Steve Jobs announces the all-new PowerBook G4, whose case is made from pure titanium and a faster Power Mac G4 with built-in CD-RW or DVD-RW drive. For DVD authoring Apple also releases DVD Studio Pro and iDVD. Furthermore, for playing, encoding and converting MP3 files Apple offers an application called iTunes for free download at www.apple.com. MacOS 9.1 is released as well as an update for MacOS 9.0.4. Steve Jobs also announces as final (and official) release date of MacOS X the 24th of March 2001.